After more than 20 years of advocating for Medicaid reimbursement for public schools, MSBA understands the challenges of claiming under the Medicaid (MO HealthNet) system. MSBA Medicaid Consortium has developed an affordable Medicaid claiming support service that allows you to maximize your federal reimbursements with minimal stress for you and your staff. Districts choose MSBA Medicaid Consortium because they know who we are and for what we stand. Our staff is accessible and responsive on a daily basis. We enjoy speaking with districts and, when possible, visiting on-site to offer support and train. By assisting school districts with the complex paperwork associated with Medicaid claiming, we minimize the time your school district staff spends on the process while ensuring your district is receiving all the federal money to which it is entitled. All transactions are maintained in an audit record for the district, providing districts with peace of mind. MSBA has a strong working knowledge of the school context and the challenges facing schools today. MSBA’s in-house program guarantees that your claims will be processed efficiently, accurately and in compliance with federal and state regulations. MSBA’s values of honesty, integrity, and quality of service are sought after and appreciated by school districts across the state. Want to know more? Request information on any of our services. What is School District Administrative Claiming (SDAC)? School District Administrative Claiming allows your school district to receive federal funds under Medicaid for becoming an administrative arm of the MO HealthNet Division (MHD). School personnel routinely support health needs of students through making referrals to health services; monitoring health conditions; and coordinating health services for students and families. This program acknowledges those functions already done by schools and does not require additional tracking of services. Consortium and will be audited by Fairbanks. What is MSBA doing to support districts with SDAC? MSBA Medicaid Consortium completes a significant part of the SDAC processes, performing responsibilities that remain with districts. District personnel can be confident that with the assistance of the MSBA Medicaid Consortium, all steps will be completed correctly and on time. In addition, districts can rest assured that all transactions through MSBA are maintained in secure audit records for the district. What is Direct Service Claiming? Direct Service Claiming allows districts to bill MO HealthNet Division (Medicaid) for medical services provided by school employees or through contract services, to MO HealthNet eligible children when services are part of an Individualized Education Plan (IEP) under IDEA. maximum recovery of claim revenue. How can MSBA help our district take advantage of Transportation claiming? Claiming for Transportation is easy for our existing Direct Services customers. The only requirement that districts may not already be doing is tracking ridership for students who are Transportation eligible. MSBA has simplified this process for districts by providing districts with a convenient way to track ridership. If you are interested in hearing more about this great reimbursement opportunity and the new transportation technology feature, please call Collin Swearingen at 573.673.2013. How easy is it for our therapists to document the necessary data? Easy-to-use cloud-based application that can be accessed from any computer or compatible device with an internet connection. Convenient calendar for providers to schedule, track and monitor their assigned students. Automated direct billing of qualified services to MO HealthNet Division. Embedded rules to ensure compliance with reimbursement requirements. Database and reporting designed specifically for school services. Formatted for use on all computer and mobile devices. Speech-to-text function on applicable devices. Is telepractice right for your district? Are there students in your district with unmet speech/language or occupational therapy needs? Do you have difficulty attracting and retaining appropriately certificated/licensed SLPs and OTs? Does your district utilize the SLP-Assistant or Speech Implementer program and need the supervision services of a licensed SLP? Do you have SLPs and/or OTs that go on parental leave during the school year? Provide speech/language & occupational therapy and evaluations. Supervise SLP-A’s or Speech Implementers. Cover partial or full caseloads when your regular SLP or OT is out on leave. The MSBA Medicaid Consortium developed a telepractice program to allow school districts to overcome obstacles in providing speech/language and occupational therapy services for children. Telepractice is approved for use in the Missouri State Plan for Special Education and allowed for claiming as a school-based service under MO HealthNet. Districts are finding that it is a practical way of providing best practices in therapy directly to students. Telepractice provides secure and HIPPA/FERPA compliant technology to deliver therapy services directly to children in schools. A fully qualified and Missouri licensed therapist will work remotely with children while being supported by an in-person facilitator provided by your school. Using a secure video conference platform, telepractice utilizes a modality that is already familiar and comfortable to students of all ages. Students using this method demonstrate a good rapport with their therapist and are eager to attend therapy sessions. Students are able to make progress and meet their individual goals while interacting with their therapist using engaging activities and appropriate therapy materials. Demonstrations of telepractice are available upon request. What are the credentials and training of the assigned therapist? All therapists used to provide teletherapy are licensed in Missouri and enrolled with MO HealthNet as providers. The telepractice program was developed by the MSBA Medicaid Consortium to compliment the other MO HealthNet (Missouri’s Medicaid) billing services in which your district may already participate. As MO HealthNet providers, all eligible services can be billed to MHD with the revenue being returned to the district and they are eligible to be included on your district’s SDAC roster. In addition, all of the therapists are trained on the use of TherapyLog and do not require additional training in documentation. Can a remote therapist do more than just direct therapy and evaluations? Yes, you should think of the remote therapist as an extension of your current team. Utilizing the MSBA Medicaid Consortium’s FERPA/HIPAA compliant platform, all services that an on-site therapist delivers can be provided through the platform. The therapist has access to each child’s IEP and new lesson plans are developed with targeted therapy materials specific to the child. The therapist is able to participate via video conference in diagnostic evaluations, IEP meetings, consultations with the school staff and even provide homebound services or therapy to private/parochial students. How can we be sure that remote occupational therapy is right for each individual student? The MSBA Medicaid Consortium developed a telepractice program for occupational therapy evaluation and services consistent with the guidelines and best practice recommendations established by the American Occupational Therapist Association. Telepractice as a methodology for occupational therapy is recognized by national organizations such as the AOTA and by state agencies, including DESE as part of the State Plan under IDEA. Qualified occupational therapists licensed by the Missouri State Board for the Healing Arts will determine that telepractice is an appropriate methodology for each child by evaluating the five factors endorsed by the AOTA (American Occupational Therapist Association). This evaluation and determination will be documented in the child’s evaluation and/or treatment record. How is occupational therapy implemented when done remotely? The first step is a determination that remote occupational therapy is appropriate for the individual child. Basic OT manipulatives are provided to each district prior to initiation of services. The items will be an exact match to the manipulatives being used by the remote occupational therapist so that the child and any adults in the session can easily participate. The use of telepractice requires the district to provide an adult facilitator/paraprofessional to operate technology, access provided manipulatives and provide adult supervision of the child. However, no specific knowledge or training is required for this position; training is provided by the therapist. How can telepractice be responsive to the changing staffing needs of my district? The MSBA Medicaid Consortium is able to provide staff for the current caseload and also able to meet caseload increases and/or unplanned absences that can occur for any reason. We currently offer “on-demand” speech and language services to Missouri school districts as a telepractice service option. This service is intended to support schools when a district employed therapist must be absent for an extended period of time. We have experienced speech and language pathologists and occupational therapists licensed in the state of Missouri who are available to assist with temporary assignments. Should caseloads increase or districts find that they do not have sufficient staff to meet evaluation timelines, additional speech/language or occupational therapists on a part-time or full-time basis may be added at any time. There is no minimum amount of service that must be provided and no penalty for decreasing services. For more information on telepractice and how it can be a solution for your school district, please contact Samantha Kalkowski, kalkowski@mosba.org, (816) 863-7683 . Are your students’ needs being met? Do your classroom teachers need support with students who struggle with behavioral concerns but do not qualify for an IEP? Have you tried to develop and implement 504 plan protocols or a tiered intervention system and need support? Are you concerned about the increasing suicide rate among students? Do you want to build bridges between students’ caregivers and the school? Administer a wide variety of special educational and gifted assessments. Provide consultation for special education administration. Assist in developing a 504 plan protocol and facilitate individual 504 meetings. Consultation or facilitation of the special education processes. Offer a comprehensive school-wide Suicide Risk Assessment and Prevention Program. Engage and support parents and caregivers through Caregiver Support Groups. Support students through individual and group counseling. The link between physical and mental health and the overall success of children in school is well researched and documented. In the Fall of 2016, the Missouri School Boards’ Association convened a School-Based Health Center Task Force comprised of districts across the state that represented the diversity of Missouri schools and students. Mental health services were the most frequently identified area of unmet need in every region and ever size community throughout the state. As part of a multi-faceted approach to meeting this need, MSBA started offering comprehensive behavioral and mental health services to Missouri schools through services from Research to Practice, Inc.
Who are our behavioral health specialists? Our behavioral health team is uniquely qualified to support Missouri schools. All of our behavioral staff come from a background of working for and with school districts and have dedicated their practice to the intersection of school and mental health. Our program leadership is provided by an individual who is a Licensed Professional Counselor, Distance Certified Counselor, and Certified K12 School Counselor in Missouri. 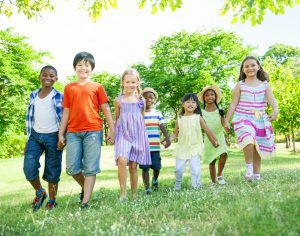 Together, our team of Licensed Professional Counselors have experience working directly with children and adolescents who are diagnosed with Emotional Disturbance and/or have a medical diagnosis of Depression, Bi-Polar Disorder, ADHD, eating disorders, Obsessive Compulsive Disorder, Oppositional Defiance Disorder, and other diagnosis. In addition to working directly with students, our team also consults with school personnel regarding student behavior, teacher support, and parent engagement. For more information about these services, contact Dr. Carrie Baylard, baylard@mosba.org, 816-863-6518.Who is providing the special education consultation services?Our team has over 35 years of special education administration experience and is available to help develop internal protocols or consult on individual cases. As former Missouri school administrators and special education directors our team is specifically poised to support school administration, staff, and students. How can we work together to meet the unmet behavioral health and special education needs of your district? Our behavioral health team utilizes a hybrid approach to providing consultation and direct services that combines in-person contact and remote engagement, when appropriate. For example, our individual counselors may build an initial relationship using traditional in-person techniques and then transition to remote engagement via video conferencing. We would continue to alternate the approaches to ensure in-person contact along with real-time video conferencing. When providing special education testing, we will meet with your student in-person but gather information from teachers and family members remotely. This approach allows us to keep your district costs to a minimum while still providing the highest quality services. What supports can you offer to address the epidemic of student suicides? Our behavioral health team offers supportive methods to help assess student risk for suicide and develop a Suicide Prevention Program within your school tailored to your school’s needs. Specifically, we offer two different ways we can support your schools suicide risk needs including: Implementing the Student Suicide Risk Assessment Program and/or providing Licensed Professional Counselors. The Student Suicide Risk Assessment Program begins with customizing a program to address your unique school and community considerations. Two members of our team will take the lead on the program along with designated school staff that are trained to help implement the program. The program includes a school-wide intervention designed to assess individual risk and develop individual student plans, including parent engagement, in-patient programs and follow-up through school-based interventions with which we can assist. Do you pay Local Tax Effort invoices each year sent to you by other schools but aren’t sure how to send out invoices of your own? Have you tried to investigate for Local Tax Effort but aren’t sure which students qualify based on their legal status? Or, does your staff spend countless hours trying to gather the necessary information? Is your staff already at capacity with critical projects and you are overwhelmed by the idea of investigating and billing for Local Tax Effort? Districts of all sizes from across the state have asked MSBA to create a program to assist districts with billing back Local Tax Effort. We know that this is can be a burdensome process and we can offer help! Almost every district has students that are placed in foster care, residential facility or group home setting attending school. These children are placed by Children’s Division, Department of Mental Health, Department of Social Services or another court of competent jurisdiction. Under Missouri law, if you educate a child whose parents live in another district, otherwise known as the domicile district, you may be entitled to recover funds from the district where the parent resides. The amount you recover is based on the “local tax effort” or the calculation of the amount of tax revenue behind each student in a school district. For example, a student in a neighboring district is placed in a foster home in your district and you provide the education all year. The state determines the local tax effort at the end of the year for each district. DESE determines that it would have cost the neighboring district $8,000 to educate that child for the year. You are entitled to claim $8,000, or a pro-rated amount for the days the student was in attendance at your school, from the domicile district to cover your cost for educating the student. How will MSBA support my district with LTE invoicing? Investigate if the child qualifies as a non-domicile/state-domiciled student and gather information on the child’s legal status throughout the year. Track down the Children’s Division case manager or other professional staff needed to fill out the necessary audit documentation. Follow-up with the case manager until the audit documentation is complete. Identify and document the proper domicile district and follow-up to see if the child’s status changes during the year or if the domicile district changes. Capture and keep all of the supporting audit documentation in TherapyLog, a FERPA compliant system that your district already uses for SDAC/direct service billing/tele-practice. Invoice all of the domicile districts as allowed for under LTE. We will follow-up on each invoice until you notify us that you have been paid in full. What is required of my district staff? Initially, we will work with your staff to identify students that you believe are placed into your district by the Children’s Division, Division of Youth Services or the Department of Mental Health. We will need basic identifying information, such as name and date of birth, for our team to investigate the legal status of the child. Your staff will also provide us with attendance information at the end of the year so we can properly calculate the invoice amount. This is the student’s first and last day of attendance as well as the total number of days they attended. We take care of the rest! How will our district be paid the Local Tax Effort or billback amount? Our team sends out invoices on behalf of your district. We instruct the domicile district to pay you directly; we do not hold the money your district is owed. We will follow-up on each invoice until you confirm that it has been paid in full. What is Public Placement Fund? Public Placement Fund is another available funding source through the State of Missouri. There are multiple circumstances where a child is in foster care but their legal status means they do not qualify for Local Tax Effort; instead, they qualify for Public Placement Fund. These children are considered to be “state domiciled” because, for example, they have no living parent or their parent is incarcerated. There are also circumstances where the amount paid by the domicile district is less than how much it actually cost your district to educate the student. In this case, you can request the excess cost by paid by the state fund. A submission to the Public Placement Fund is made once per year, usually in the Fall. We will provide your district with all of the information you need to submit Public Placement Fund for the children that qualify under state domicile. For more information on Local Tax Effort and Public Placement Fund and how MSBA may be of assistance to your school district, please contact Brenda Wright, wright@mosba.org, (660) 651-1534.